Orchestration software has played a key role in cluster bring-up and management for decades. Dating back to solutions like SunCluster, PSSP, and community solutions such as CFEngine, the need to launch many resources together to enable large parallel applications continues to be a vital part of the High Performance Computing (HPC) environment. AWS has many cloud native approaches to running your clustered workloads on AWS, but the need to recreate or replicate an environment similar or nearly identical to what you are currently running in your data center may be a necessary first step in moving workloads to AWS. What if you could build a familiar cluster environment using AWS cloud native resources? Today we announce AWS ParallelCluster, an AWS supported, open source cluster management tool that makes it easy for scientists, researchers, and IT administrators to deploy and manage High Performance Computing (HPC) clusters in the AWS cloud. 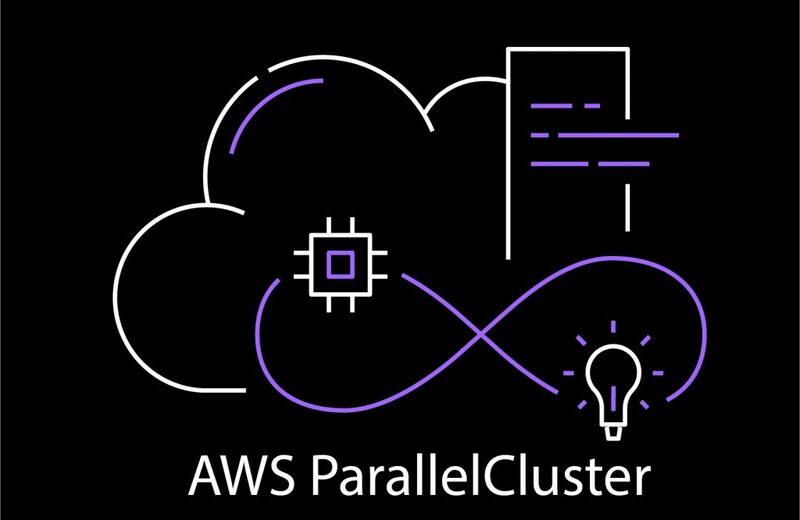 With AWS ParallelCluster, many AWS cloud native products are used to launch a cluster environment that should be familiar to those running HPC workloads. For example, AWS CloudFormation, AWS Identity and Access Management (IAM), Amazon Simple Notification Service (Amazon SNS), Amazon Simple Queue Service (Amazon SQS), Amazon Elastic Compute Cloud (Amazon EC2), Amazon EC2 Auto Scaling, Amazon Elastic Block Store (Amazon EBS), Amazon Simple Storage Service (Amazon S3), and Amazon DynamoDB. AWS ParallelCluster is released via the Python Package Index (PyPI) and can be installed via pip. It is available at no additional cost, and you only pay for the AWS resources needed to run your applications. ParallelCluster leverages CloudFormation to build out your cluster environment. This is the same CloudFormation that you can use to launch just one instance, or a VPC, or an S3 bucket, but now you’re using it launch an entire HPC cluster environment. And we’re not even close to done! We will continue to iterate ParallelCluster based on customer requests and feedback. Grab a cup of caffeine, and let’s get to it! The aws-parallelcluster GitHub repository (we’ll show code edits and pull requests later). Decision time #1. You can use ParallelCluster anywhere you can access the internet, but you will need your AWS API keys, or you will need to set up an IAM Role and assign that to an instance to launch the necessary resources for your cluster. For this post, I’ll assume you are using either a Linux or MacOS operating system, you have admin access, and you have access to your API Keys. Please reach out to an AWS Solutions Architect if you have questions about using an IAM Role instead. Before I install ParallelCluster, I’ll make sure I can access the console using the AWS CLI. To install the AWS CLI you can follow the steps Installing the AWS Command Line Interface, or to install in a Python virtual environment you can follow Install the AWS Command Line Interface in a Virtual Environment. I’ll be using a Python virtual environment for everything. I’ve installed, setup, and verified functionality of the AWS CLI. Let’s install ParallelCluster now. Decision time #2. The VPC that ParallelCluster will use must have DNS Resolution = yes and DNS Hostnames = yes. It should also have DHCP options with the correct domain-name for the region, as defined in the docs: VPC DHCP Options. The subnet that will be used will need to have access to the internet, and there are several way to enable this. For this blog, I will use a Public subnet (a subnet that has an IGW attached and routes to the internet), but you can use a Private subnet as long as the subnet routes to the internet (e.g. through a NAT Gateway or a proxy server). Okay, let’s see what that did. It created the file ~/.parallelcluster/config, let’s cat that and have a look. ParallelCluster uses the file ~/.parallelcluster/config by default for all configuration parameters. You can see an example configuration file site-packages/aws-parallelcluster/examples/config in the github repo. The config file has several sections (if you’re a Python programmer we’re using ConfigParser). Each section has a set of parameters that used to launch the cluster. If I’m not careful, and I accidentally put a config parameter in the wrong section, it will be silently ignored and I’ll be stuck wondering what happened. Refer to the ParallelCluster Configuration docs for more info. If the parameter is not specified in the config file, then the default value is used. Currently, ParallelCluster supports three schedulers: sge, torque, and slurm. The default is sge, and that’s what I’ll be using. For now, the only changes I will make in the config file is to add the SSH source location ssh_from in the VPC section, and change the compute_instance_type in the cluster section. Let’s login with the built-in ssh alias we give you with ParallelCluster pcluster ssh <cluster_name>, and see what cluster resources are already avaiablbe. The authenticity of host '35.153.251.20 (35.153.251.20)' can't be established. ECDSA key fingerprint is SHA256:u9+A0i6Y94JcRGYW8eyi5e4N+iiNtpPTPAwPY5PQcWk. Warning: Permanently added '35.153.251.20' (ECDSA) to the list of known hosts. From the output above, you can see that I already have a cluster of instances running. By default, we’re going to use t2.micro for the compute instance type, but I configured this cluster to use the c4.large, and because hyper-threading is on, we see two CPUs and one core for each instance. Let’s submit a simple hostname job that will show the AutoScaling feature of ParallelCluster using the mpirun command. The instances have been terminated, and I’m not being charged for idle instances. The scaling features are configurable. Okay. I have launched what looks and acts like a traditional HPC environment using many AWS Cloud native resources, to include an AutoScaling cluster that will terminate instances when that are not being used. What about using an environment without the scheduler overhead? Say hello to AWS Batch. AWS Batch dynamically provisions the optimal quantity and type of compute resources (e.g., CPU or memory optimized instances) based on the volume and specific resource requirements of the batch jobs submitted. With AWS Batch, there is no need to install and manage batch computing software or server clusters that you use to run your jobs, allowing you to focus on analyzing results and solving problems. AWS Batch plans, schedules, and executes your batch computing workloads across the full range of AWS compute services and features, such as Amazon EC2 and Spot Instances. So now I’ll launch a Batch enviroment and let ParallelCluster do all of the work for me. When launching a AWS Batch enviroment, we’ll leverage even more AWS resources. For example, AWS CodeBuild, Amazon Elastic Container Registry (Amazon ECR), and NFS server will be brought up on the master instance. I’ll start by editing my config file: ~/.parallelcluster/config, and add this section using some of the same parameters from the [cluster default] section. Now that I have a separate cluster template defined, I can launch a separate master instance that will be both the NFS server for my Batch jobs, and will also be the submit host for my batch jobs. I’ll create a cluster now, specifying my awsbatch cluster. The authenticity of host '54.158.75.19 (54.158.75.19)' can't be established. ECDSA key fingerprint is SHA256:/K8LQYyLliS0+Q7+BZtkhe6ChyM9Oz/RZz0aTCKJ3KQ. Warning: Permanently added '54.158.75.19' (ECDSA) to the list of known hosts. I see that I have a c4.xlarge instance ready to run jobs. I’ll test with hello world. Job 2387b7f5-14c7-41c1-bbf8-c5e50017580a (echo) has been submitted. The job is submitted, and should go from RUNNABLE to STARTING to RUNNING, and then either SUCCEEDED or FAIL. With AWS ParallelCluster you can leverage the benefits of the AWS Cloud, while maintaining a faimiliar, cluster environment. We’re excited about ParallelCluster and we look forward to hearing from you! Mark Duffield is a Worldwide Tech Leader at Amazon Web Services, focusing on the semiconductor industry. Prior to joining AWS, he was a High Performance Computing SME at IBM, and designed multi-petabyte solutions at DDN Storage. He has deep experience with HPC, cluster computing, enterprise software development, and distributed file systems. He architects solutions in several verticals, to include electronic design automation, weather modeling and forecasting, manufacturing, and scientific simulations.